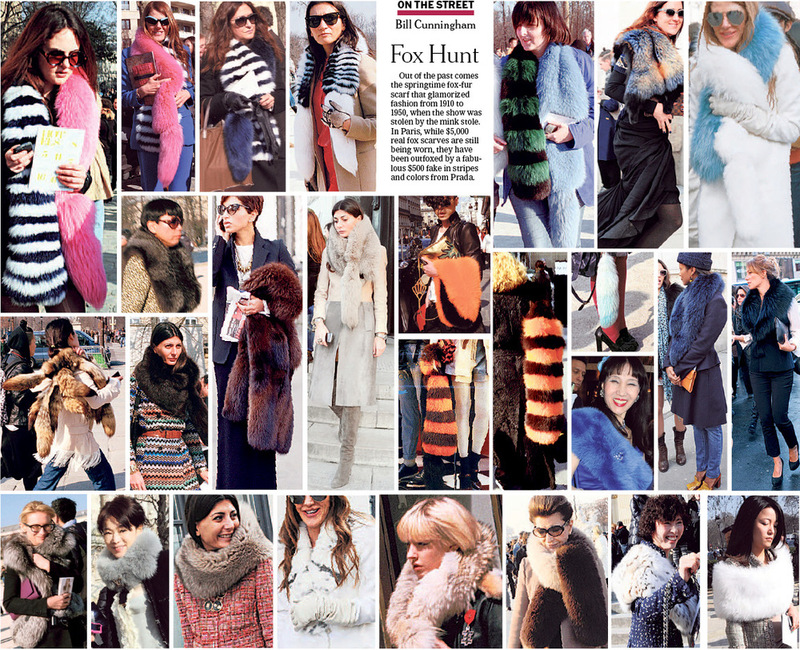 Long before Scott Schuman of ‘The Sartorialist’, there was (and still is) Bill Cunningham. Take note: it is Bill who pioneered the trend in street-style photography, not Scott Schuman! After taking a random snapshot of screen goddess Greta Garbo in 1978, a group of Bill’s spontaneous images of fashionable women made their way into The New York Times. This heralded the start of Bill's regular photography series for the iconic newspaper. Cycling his modest bicycle through the streets of Manhattan, Bill captures candid shots of the stylish, elegant and creative. Indifferent to the social status of the women he photographs, for this unassuming cultural anthropologist it’s all about the look. ‘The problem is I'm not a good photographer. To be perfectly honest, I'm too shy. Not aggressive enough. Well, I'm not aggressive at all. I just loved to see wonderfully dressed women, and I still do. That's all there is to it,’ Bill has humbly explained. Even in his 80s, Bill can be found with his trusty camera in hand (to this day, he continues to use film rather than digital) documenting the latest fashion trends showcased by women strutting Fifth Avenue. In 2011, filmmaker Richard Press and Philip Gefter of The New York Times produced a documentary titled ‘Bill Cunningham: New York’, presenting us with an intimate portrait of a man who is respected and adored by New York society and fashion industry veterans alike. ‘Bill Cunningham: New York’ is available for purchase at Amazon.com. For anyone with an interest in street-style photography, this documentary is definitely worth watching. His foray into the fashion world was gradual, for art had been his true passion. Yet one thing was certain, that being his obsession with dresses and the feminine form. Christian Dior founded his fashion empire at the age of 42, successfully (and exponentially) growing it for a decade until his untimely death. From 1947 to 1957, Dior changed the face of haute couture with his ‘new look’. His designs were provocative in the face of the war, revolutionising fashion with a strong, closely tailored, feminine and extravagant look (think nipped waists and big shoulders). Women who wore his designs were scorned for their attire, which consisted of an exorbitant amount of fabric in a time of scarcity. To keep up with demand, the fashions at the house of Dior changed every six months, thus creating the concept of a fashion season. Dior’s legacy as one of the world’s most prolific fashion designers lives on through his fashion house, now controlled and chaired by French businessman Bernard Arnault. To learn more about the life and times of designer Christian Dior, I recommend viewing 'Christian Dior: The Man Behind the Myth' (French Connection Films, 2005) available for purchase at amazon.com. Well, that would be Karl Lagerfeld. And the documentary “Lagerfeld Confidential” gives us an up-close and personal view of he who is somewhat of a mystery to those outside the supreme echelons of fashion high society. Born in Germany, Lagerfeld moved to Paris, France, in his early teens to pursue a career in fashion. He first worked as junior assistant to popular French designer, Pierre Balmain. Lagerfeld has since enjoyed immense success designing collections for Tommy Hilfiger, Fendi, Chloe and his own label bearing his name. Yet his best known role is as creative director of the house of Chanel. The first detail to be observed from watching the documentary about Lagerfeld is his propensity to live in a state of complete chaos. He is a hoarder of books, magazines, jewellery and, strangely, iPods. He also has an obsession with photography and shares the fact if he wasn't in fashion, he would be working in advertising. The documentary shows Lagerfeld at work – both in his roles as fashion designer and photographer. In relation to fashion, he reveals the “the best things I've ever done have come from my dreams”. Appreciating the cyclical nature of fashion, and adopting the attitude of his predecessor (the late Coco Chanel), Lagerfeld remarks, “because I love change, I’m attached to nothing”. He will only don pieces from his current collections – with the rest banished to the archives of the Paris home of he who describes himself as being “transportable” and having “no roots”. 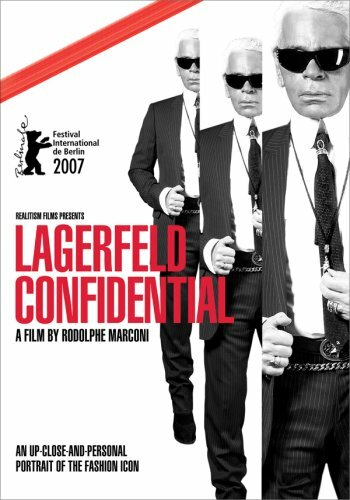 Lagerfeld Confidential – a film by Rodolphe Marconi – is available to purchase from Amazon.com. First published in 1892, Vogue is unarguably the most iconic fashion magazine in the world. With 23 national and regional editions published monthly by Condé Nast, its influence extends beyond fashion to inspiring lifestyle and political pieces which sometimes challenge the status quo. “In Vogue: The Editor’s Eye” is a documentary celebrating the 120th anniversary of the publication. 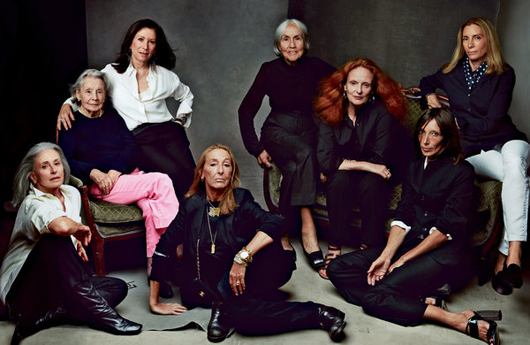 It profiles Vogue’s legacy and, more importantly, those who have made the magazine the success that it is. Largely credited for its triumphs are the fashion editors responsible for crafting the enchanting photo editorials, which both seduce and entertain Vogue readers. Actress Nicole Kidman describes the effect of these editorials as allowing the audience to live “in a different realm for a short period”. From an “Alice and Wonderland” themed shoot with designers cast in the role of characters from Lewis Carroll’s fairy-tale, to shoots involving models sharing intimate moments with nature, these editorials embody the fashion editor’s artistic vision. When asked to describe the role a fashion editor occupies, none of the former fashion editors of Vogue could find words apt to explain. Ultimately, it becomes clear from viewing the documentary that it is the fashion editor who makes readers fantasies come to life and who creates a sense of wonderment usually reserved for one’s imagination. “In Vogue: The Editor’s Eye” provides an insight into the creative process behind Vogue fashion shoots, as well as an array of interesting interviews about the magazine with current and former editors and a selection of Vogue subjects. As stated by US Vogue editor-in-chief Anna Wintour, “fashion is a reflection of our times” and it is the fashion editorials in Vogue that pioneer trends, document the evolution of fashion and which encapsulate the essence of the magazine itself. “In Vogue: The Editor’s Eye" by HBO can be purchased from Amazon.com.